Tap2pay is a cloud-based platform that enables users to accept payments through websites, social media, messaging apps, and other online channels. Its features include online ordering, digital wallet, payment analytics, and more. In this article, we cover user reviews and pricing. Ready to get started with Tap2pay? Sign up for free. 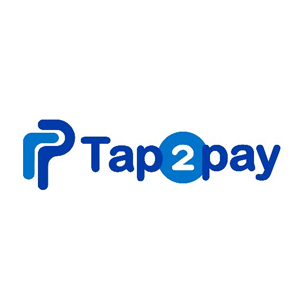 Users who gave Tap2pay a positive review said that it streamlines their sales processes with its ability to invoice and chat customers instantly through social media. They also added that the software can be easily integrated with third-party apps such as Facebook. One user who gave Tap2pay a positive review on Capterra said that it was easy for him set up the software which integrates seamlessly with the sales channels that they utilize. He also added that his sales conversion increased by 30% since he started using the program. As of the date this article was written (01/29/19), there are very few negative Tap2pay user reviews online. However, some users suggested expanding the features to include person-to-person fund transfer capabilities. Tap2pay has a free option and 2 paid subscription plans: Premium ($49/month + fee per transaction) and White Label (customized). The main difference between the plans is access to premium features such as the Tap2pay CRM, customization, branding of chatbots and widgets, integration with third-party CRM software, notifications, and more. The fee per transaction depends on the type of business the user has and the country where it is registered. Pricing for the White Label plan depends on the types of businesses, monthly turnover, and the country where the business is registered. Ready to get started with Tap2pay? Sign up for free. Can Tap2pay users track their inventory using the platform? Yes. Tap2pay maintains a product and inventory list that updates in real time every time a successful purchase has been made. Can Tap2pay users send invoices through messaging apps? Yes. Tap2pay users can generate invoice links through its dashboard and paste it into their respective customer conversations. Once the invoice link has been sent, customers can click to confirm their payments. Not sure if Tap2pay is the right fit for you? Read our reviews of all top payment gateway service providers or check out one of these three Tap2pay competitors. Tap2Pay is compatible with major ecommerce platforms like Shopify, WooCommerce via plugins. The service integrates even with mobile sites, mobile apps, with chat bots. Easy start to sell and accept payments on a website and social media. Recurring payments or subscribers are available. Tap2Pay provide payments without redirections and long registration forms via customizable express checkout widget with high conversion. 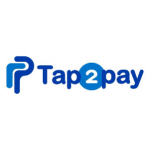 We’ve been working with the Tap2Pay payment system for 2 years now and we haven’t had any issues.